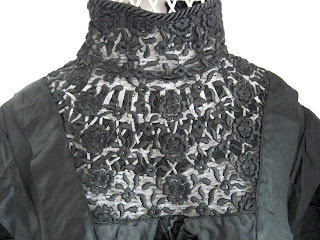 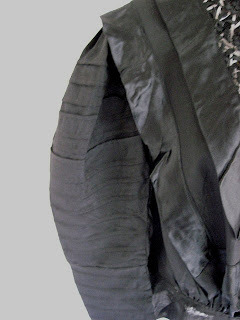 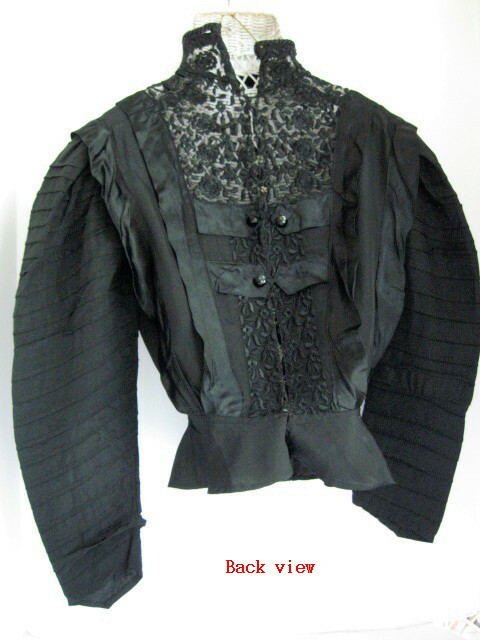 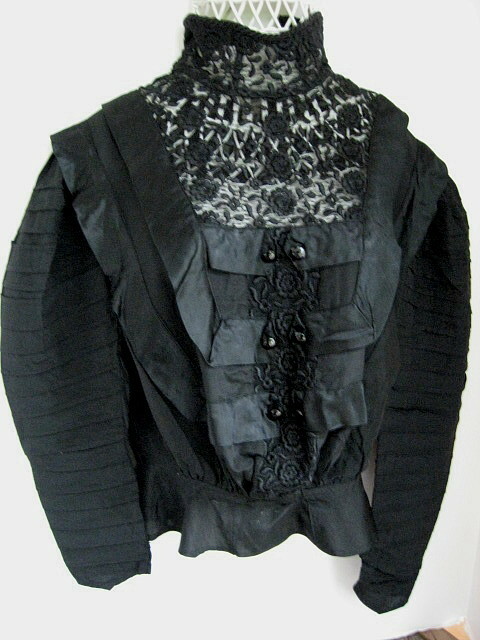 For your bidding consideration is a Antique Victorian Black Taffeta, Silk and Lace, high collar with full sleeves Blouse. 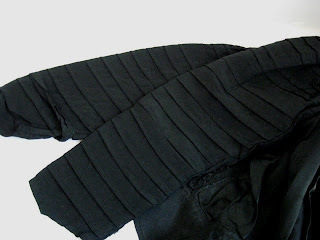 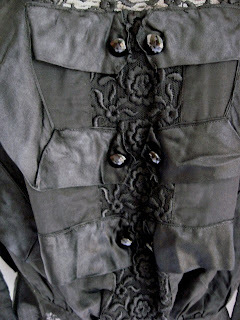 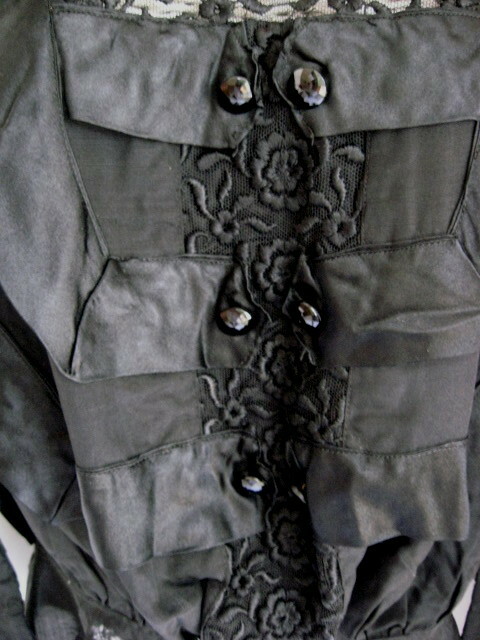 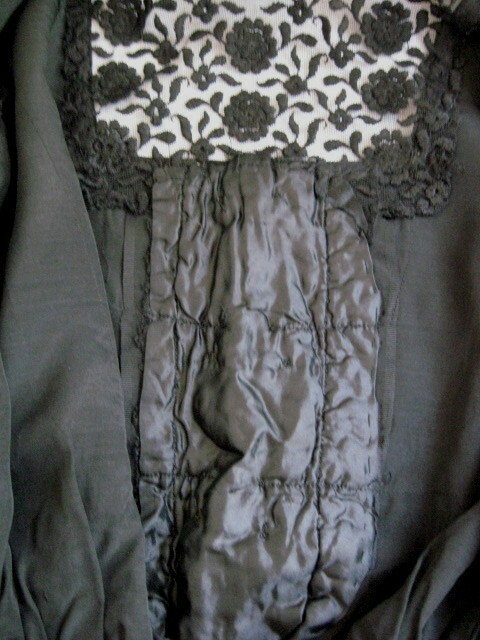 As seen in the photos it has a black lace insert with wire boned high collar, a leg o' mutton type sleeve which is pleated taffeta, a small peplem at the waist, black silk trim on the front and back with black glass buttons , six at the front and three at the back (one is missing), four snaps at the back with eight hooks and eyes. 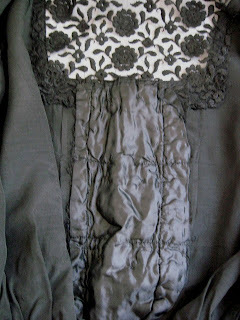 Lots of detail as seen in the photos, very well made with french seams. This is most likely a mid 1900's.